In stock and shipping world wide from NZ. SOLD OUT in the EU and US. 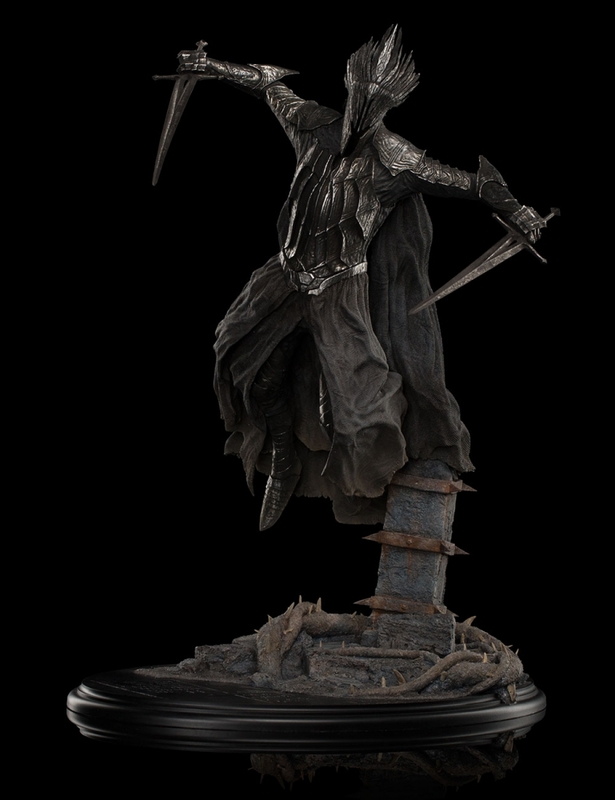 Dol Guldur; the ruined fortress, yet not so deserted as it might first seem… Within the crumbling walls and strangling thorns a battle of mighty forces is about to be waged. 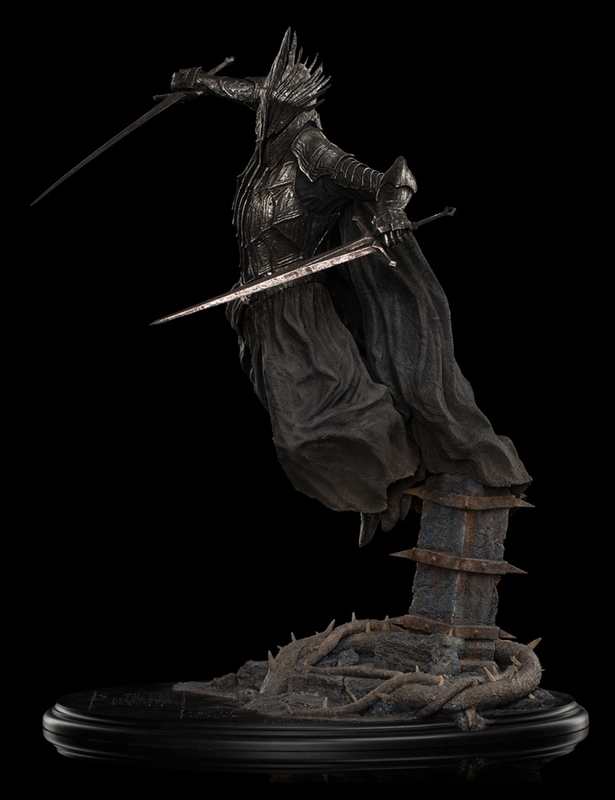 Descending jagged stairs to surround Lady Galadriel and Gandalf the Grey, the Nazgûl appear clad for war in ghostly armour. Invisible to mortals, their spectral forms are revealed to eyes that see beyond the corporeal and into the spirit world; colourless, sinister figures, glowing with malevolent intent. 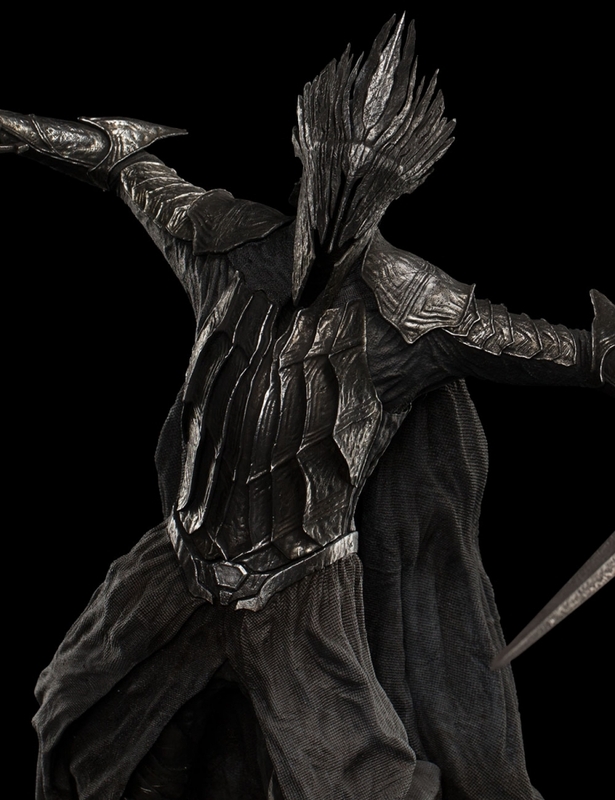 Returned from incarceration and death is the greatest of the Nine Ringwraiths, the Witch-king of Angmar. He looms over the pair, preparing to strike, but is taken by surprise, for the Elf and Wizard are not alone. 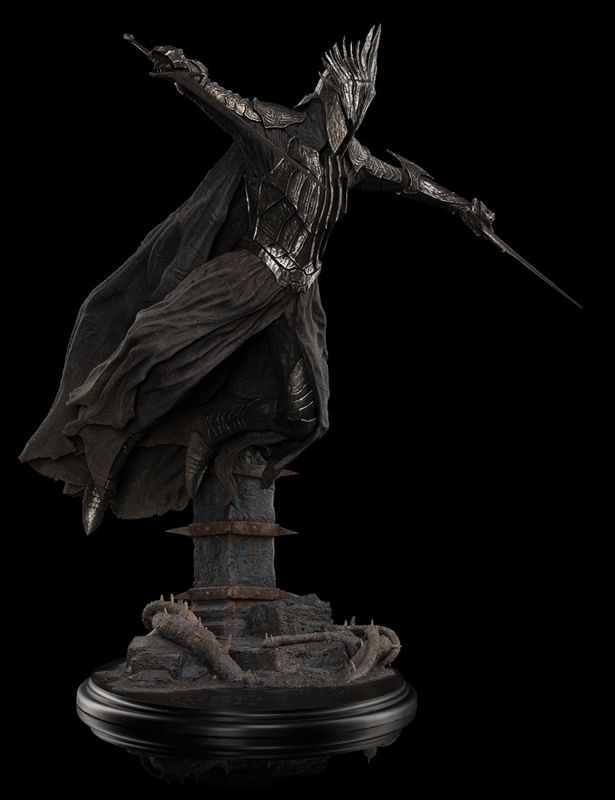 From the shadows step Lord Elrond and Saruman the White, and the stage is set for the clash of light and darkness as the White Council is matched against Sauron’s Nine. 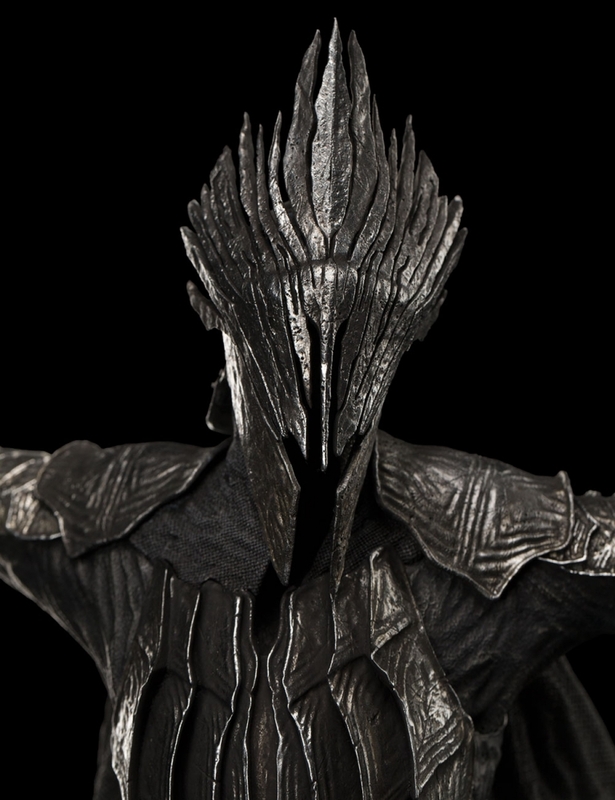 Introducing the latest statue in Weta Workshop's 1:6 scale Middle-earth range: The Witch-king at Dol Guldur.